QLogic, a leading supplier of high performance storage networking solutions, simplifies the process of networking storage by providing the only end-to-end SAN infrastructure in the industry. 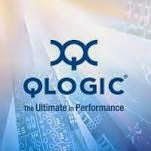 QLogic builds solutions based on all storage network technologies including Fibre Channel, iSCSI, and FCoE/Ethernet. This is a one year full time program where your primary function is to work in the specific areas of assigned QLogic product - could be development or testing. 0 on: " Freshers Hiring For Technical Intern at QLogic in Pune"